Research conducted by the Coastal Studies Lab is largely through field-based projects, including acquisition and analyses of coastal morphology, sediments, and other physical/environmental parameters. The Lab is equipped with state-of-the-art topographic surveying equipment, including a high-accuracy (sub-centimeter) Trimble Real-Time Kinematic Global Positioning System (RTK GPS) and a rugged electronic total station. Nearshore (shallow-water) bathymetry can be collected with our EchoBoat RCV using a dual-frequency vessel-mounted echosounder. 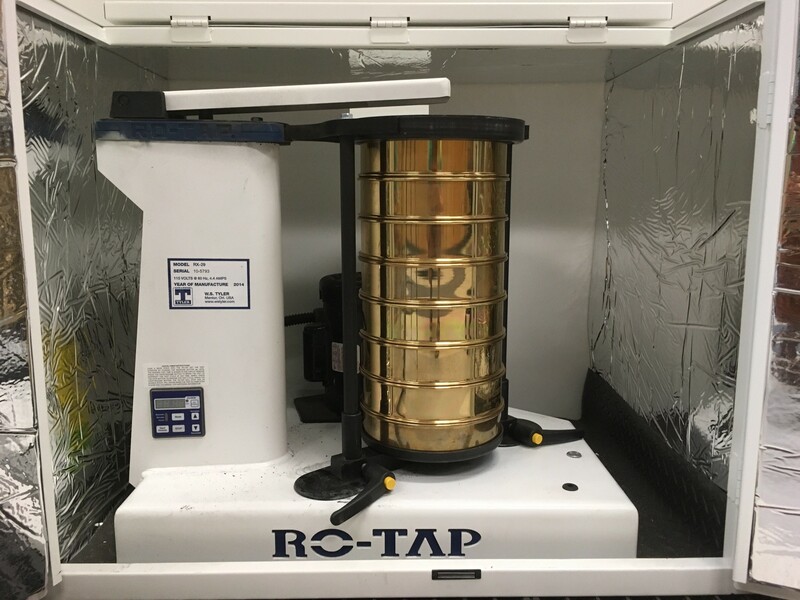 Surface and subsurface sediments (lithologic) are analyzed using combined methods of mechanical sieving using a Ro-Tap and sediment cores (vibracore and pound/push cores). Field research is supported by a dedicated field vehicle and Polaris Ranger UTV. Other environmental monitoring equipment available includes temperature loggers, multiparameter water quality meters, flow meters, Secchi disks, and pressure transducers. Through faculty collaborations, students working in the Coastal Studies Lab can also use our Trimble UX5 Unmanned Aircraft System or Trimble ZX5 Multirotor Unmanned Aircraft System for remote sensing coastal research applications. The Coastal Studies Lab is also equipped for textural and compositional analyses of granular sediments. Sediment analysis is an example of just one capability of the analytical facilities in the Department of Geosciences at FAU, in support of the Department and University’s mission to provide students with high-quality scientific education and excellence in teaching and research. For more information, please visit the Water Analysis Lab homepage . Analyses of grain size distribution, statistics, sediment color, and carbonate content are routinely conducted by graduate and undergraduate students conducting research in Dr. Briggs’ lab. These analyses are also offered to researchers, as well as to commercial customers. For a quote on sediment analyses services, please contact Dr. Briggs by email.